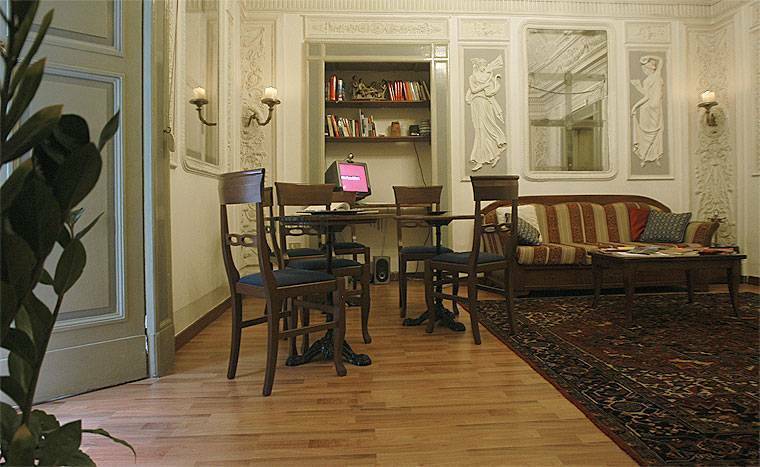 Just in the centre of Naples - 1 minute walk to Piazza del Gesù, via Toledo, piazza Dante Metro station, historic district (Spaccanapoli), 10 minutes to the waterfront in the centre of the city and to the central station. 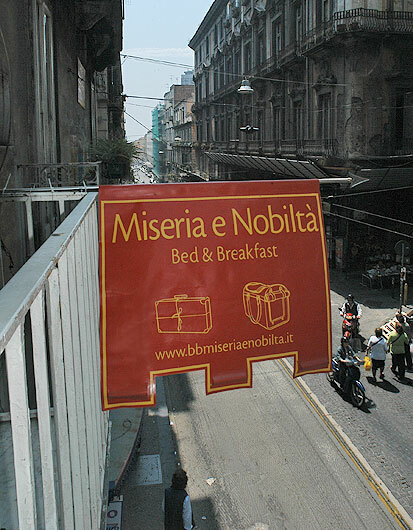 Bed&breakfast Miseria e Nobiltà has four rooms (from single to quad, each with its private bathroom) in an ancient flat from which windows, in the 18th century, writers, composers and musicians made their works watching Naples. Ask our friendly staff for any info (on four languages) about this amazing city, the islands in front of it - Capri, Ischia, Procida -, the nearest most turistic places like Pompei, Ercolano, Amalfi coast and Vesuvius national park, as well as providing you with maps and infos on where to go, what to see, eat or drink to enjoy the whole city. Of course, breakfast included. 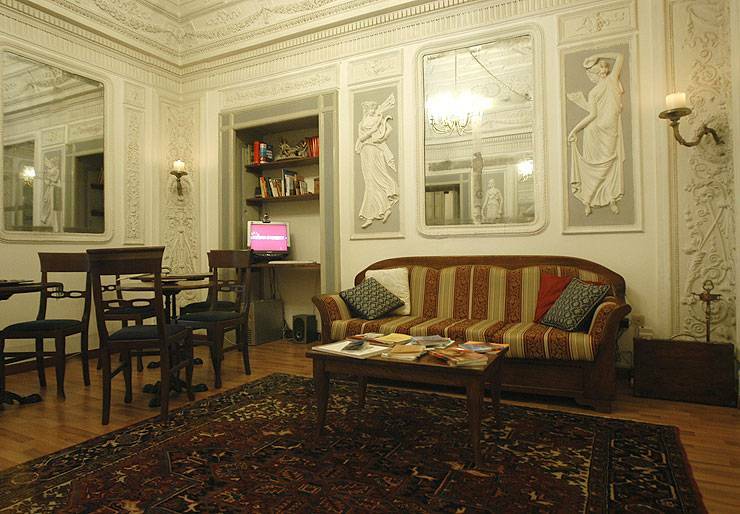 We also have a little library with books on habits, manners, curiosities, legends, historical stories and fanciful tales about Naples and its famous characters. 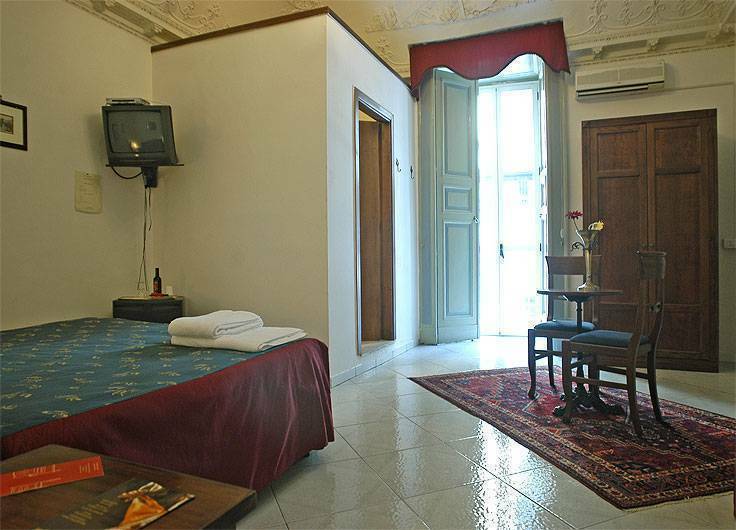 All rooms have private bathroom, air conditioned, TV-sat, WIFI connection, 24-hours free internet connection; the apartment strikes for the precious stuccos which enhance its ceiling, for its 18th century vaults and for its original built-in mirrors. 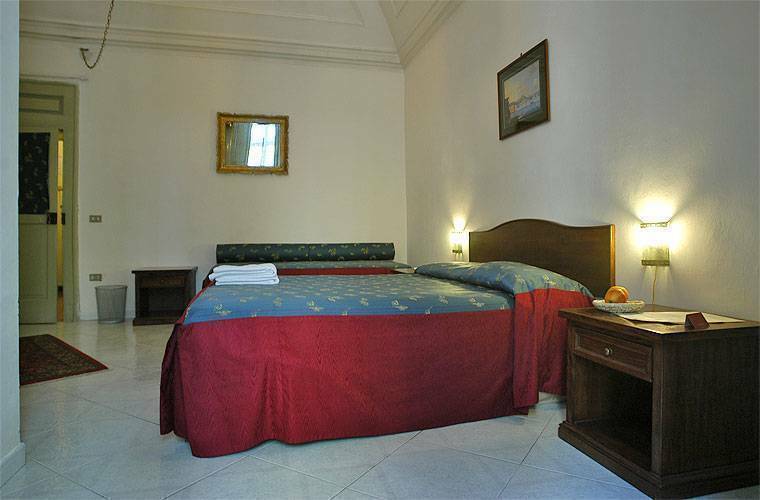 En suite double room (third and fourth bed can be added) with shower, air-conditioner, small fridge, sat TV, balcony. En suite double room (a third bed can be added) with bathtub, air-conditioner, small fridge, sat TV, window and balcony. Twin room with private floor bath, small fridge, sat TV, window. In the heart of the historic center; all churches, museums, historic streets, as well as shopping or night life at a walkable distance. Payment at the arrival. No credit card accepted in hotel. In case of no-show the first night will be charged. 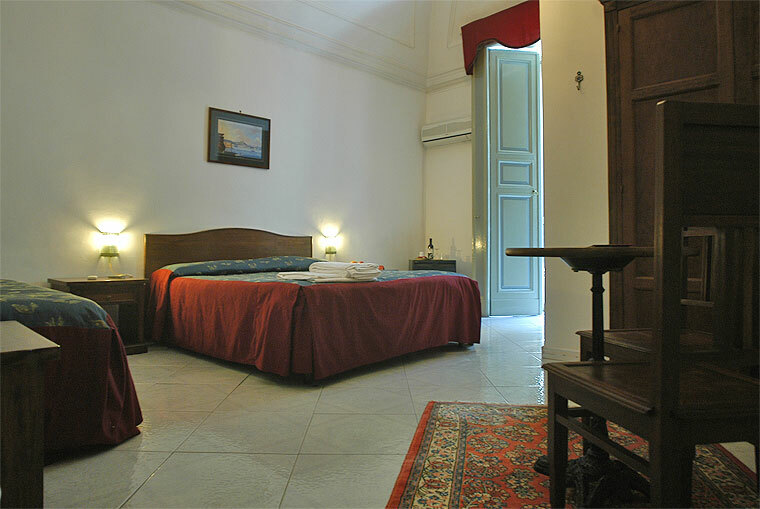 Cancellation until 48h before arrival (20% charged), otherwise first night charged. Via S. Anna dei Lombardi, just in the historic center; via Toledo, piazza Dante, Spaccanapoli, all at a minute walk from here. Metro stop Dante, 50 meters. Bus down the building, to reach every place in the city. Central station, 10 minute walk.